SANTA CLARA, Calif., June 23, 2015 – Santa Clara University’s Miller Center for Social Entrepreneurship has released a white paper aimed at helping social-entrepreneurship accelerators and incubators succeed. The paper, “The GSBI(R) Methodology for Social Entrepreneurship,” is available to download here. 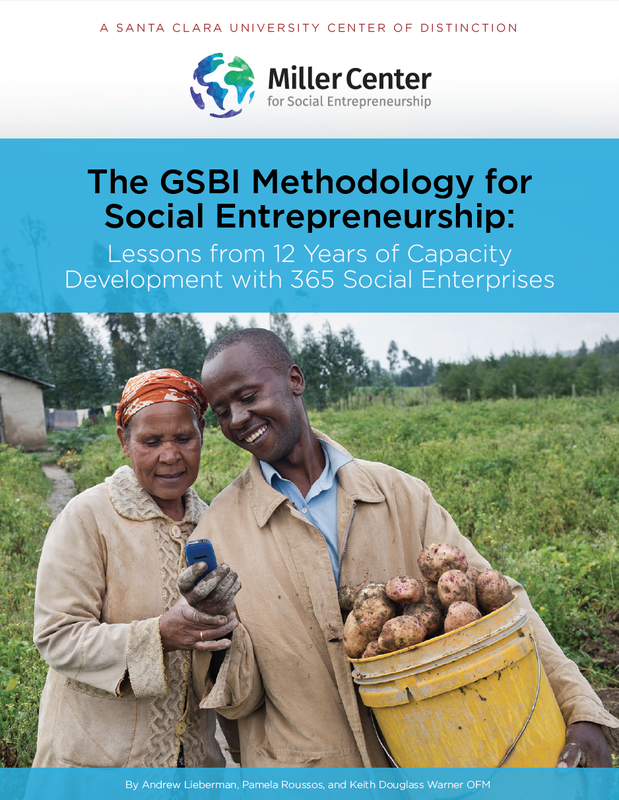 The white paper encapsulates lessons from 12 years of working with over 365 businesses tackling social problems around the world through the Miller Center’s Global Social Benefit Institute, or GSBI. The GSBI is internationally recognized for helping social entrepreneurs become investment-ready and prepared to “scale” -- or reach exponentially more beneficiaries. GSBI’s well-honed methodology serves as a best-practices framework for incubating and accelerating these global social enterprises. The Miller Center is offering this free white paper in response to the rapid rise of accelerators and incubators focused on helping social entrepreneurs scale their solutions to the world’s critical problems affecting the poor and the planet. It identifies key strategies so others can benefit from its successes and failures. The paper describes three key success factors for a successful accelerator: social enterprise selection, stage-specific programs for social enterprises, and deep executive-level mentoring. It also shares mistakes to avoid, such as being unprepared for the due diligence process that potential funders require. The GSBI invites applications from businesses or organizations that are “impact first,” where the intention is to create good environmental or social outcomes as a forethought, not an afterthought. Based on where the enterprises are in their lifecycles, they are matched to the appropriate programs within the GSBI: a “Boost” program consisting of three days of intensive, on-location training; a six-month online-only program for early-stage, developing ventures; or the 10-month GSBI Accelerator, which combines online and in-person mentoring for ventures on the cusp of robust growth.